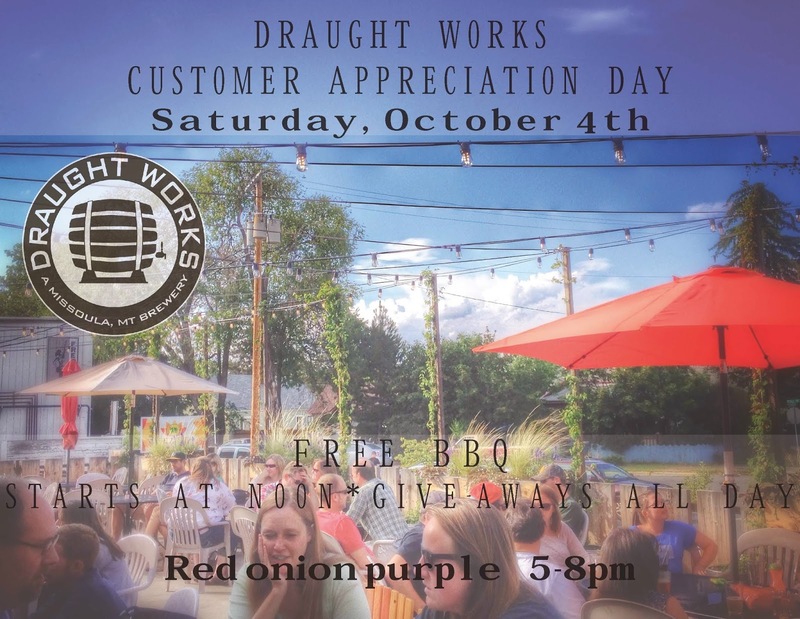 On Saturday, starting at noon, Draught Works will celebrate its 3rd Annual Customer Appreciation Day. There will be a free BBQ catered by Burns St. Bistro, giveaways all day (including tickets to the Last Best Film festival, growlers, growler fills, hoodies, hats, gift cards, and tons more). "In celebration of opening our doors nearly three years ago," says Ana Pederson of Draught Works, "we want to celebrate with our customers and loyal patrons." Live music by Red Onion Purple (listen to their song, "Antoinette," here) will start at 5:00 p.m. Get there, have a beer, and keep supporting this neighborhood brewery.